Emily of Empire Style of Mind here! I am a New York City based photographer and blogger with a penchant for the colorful, the cheesiest sense of humor you can imagine (trust me you’ll see), and a truly dedicated love of all things food and wine and adventure! And what better place than Napa Valley to find all that and more? I’m so excited to share with you the wonderful experiences I recently had visiting. 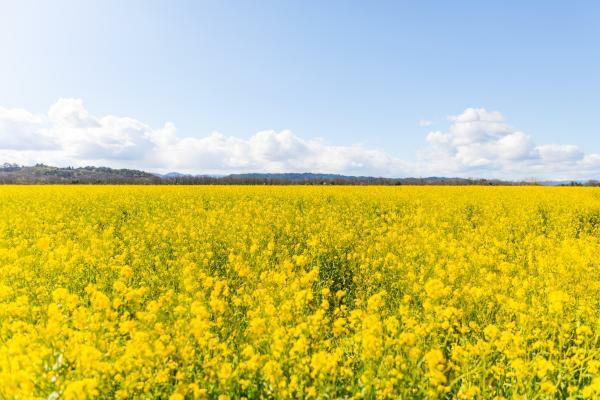 Napa Valley, California is blooming and beautiful throughout winter and spring. It’s this time of year that has been dubbed Cabernet Season. After the grapes are harvested the valley takes on a slower pace than usual. 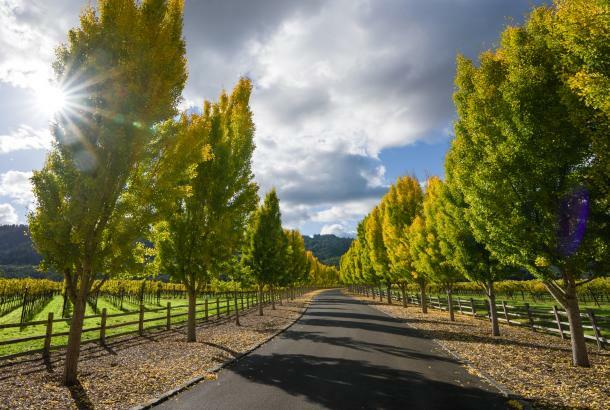 And when you’re looking to escape the bleak Nor’easters and record lows elsewhere in the country, Napa Valley is a perfect place to head for a mid-week getaway or a long weekend. I was recently afforded this very chance and did not hesitate as I stepped onto the ramp at JFK. 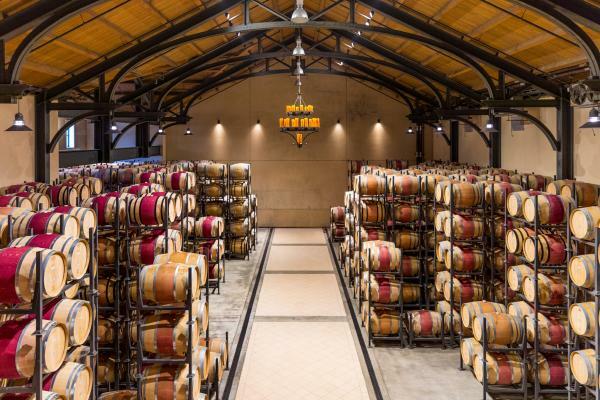 With only 72 hours in Napa Valley to do everything I wanted to do, it would be a packed itinerary and I was more than ready. My mom flew in from Florida and met me at the airport in San Francisco, from there we drove straight to the valley. I was nervous looking at the forecast for the weekend: 90-100% rain predicted for the entirety of the trip. Yet as we entered the southern part of the valley, there were blue skies peeking through the clouds and rainbows began to appear left and right! If that’s not a good omen I don’t know what is! 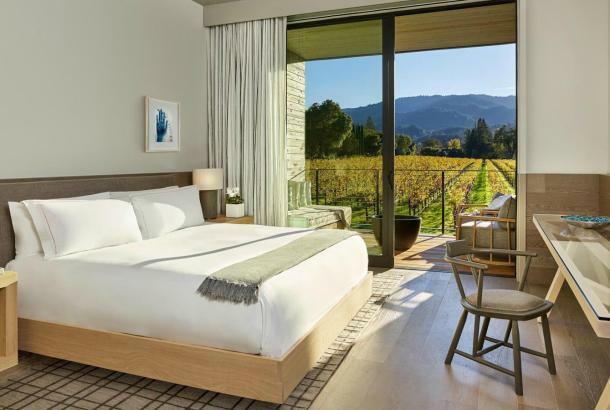 We soon arrived to our hotel, Las Alcobas, a gorgeous property of sleek modern amenities situated around a restored historic farmhouse at the north end of the charming town of St. Helena. The view from our room was a sprawling vineyard which at other times of the year will be ripe with Cabernet Sauvignon grapes. 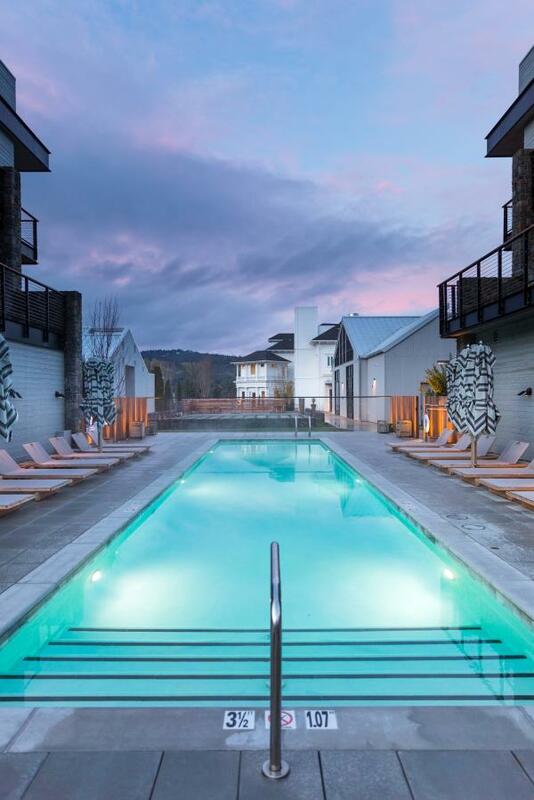 By the time we’d finished dropping our luggage and getting a quick tour of the property—which includes a spa, fitness center, event space, and a restaurant/bar—it had begun to pour. So we settled into the bar and sipped on cocktails. For my mom, a signature margarita, and for myself, a delicious bourbon-based concoction called the Aster. We quickly befriended a nice couple sitting next to us at the bar and after chatting with them and enjoying some snacks, we migrated to dinner at the Acacia House restaurant. We called it an early night, due in part to jet-lag and in part for our 4a.m. alarms the next morning. 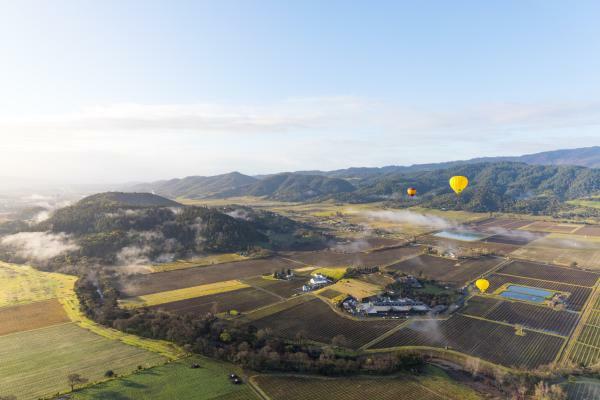 We awoke early to meet the team at Napa Valley Aloft for a sunrise hot air balloon flight. By some miracle the sun broke through just long enough for a spectacular sunrise over the valley, with misty vistas and dramatic lighting shining through the mountains. It’s actually my third hot air balloon ride but it was quite possibly my favorite. Sure, I may have been freezing and destroyed my new white sneakers when we landed in a muddy field, but it was entirely worth it for the photos! We then enjoyed a champagne breakfast after the flight and still made room for sweet treats at the famous Bouchon Bakery after that! After the morning’s excitement our first stop was an early lunch at The Charter Oak restaurant. 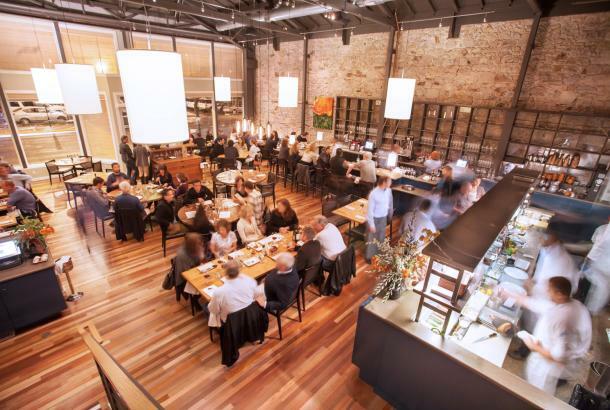 We were so impressed—it was one of those meals that every single thing they put on the table made us exclaim, “Oh my god that’s the best thing I’ve ever eaten!” only to say it again after trying the next dish. I was especially excited to try so many creative and fresh vegetarian dishes. Following lunch, it was at last time for some wine! 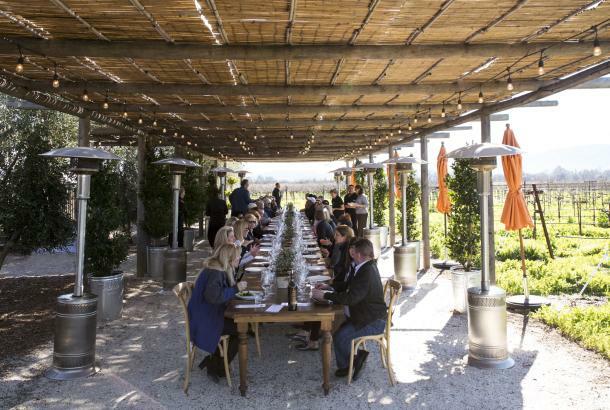 A quick trek right down the street from lunch we leapt right into the world of Cabernet Season at HALL Wines, renowned for their world class wines and their gorgeous modern property. Next, we drove a few minutes north to Freemark Abbey, where we tried ever more Cabernet Sauvignon and learned a great deal about the history of the valley in between sips. The next morning, we meandered through the valley to B Cellars Vineyards and Winery, where we were given more than our fair share of wine to taste as well as a wonderful pairing of bites to go along with the wines. I thoroughly enjoyed being able to try each wine with food because it often adds a layer of depth to the taste that you may otherwise have missed. After all, wine was meant to be enjoyed with a meal! Wanting to see the town of Napa, we stopped for lunch at Oxbow Market, a great idea if you can’t agree on what to eat since there are options for everyone! 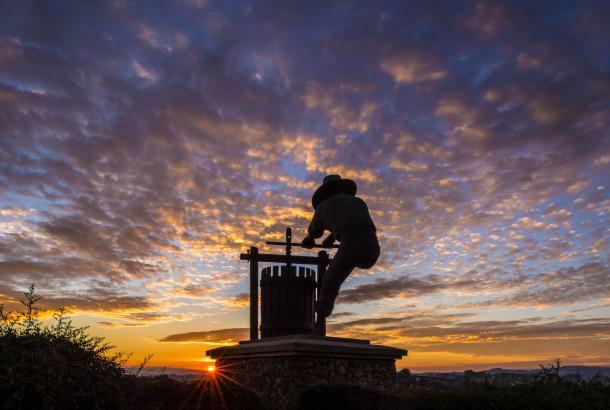 Finally, we ended the day and the trip at Trinchero Napa Valley, a lovely estate in St. Helena named after one of the first wine growers in Napa Valley—Mario Trinchero—a founder of such household names as Sutter Home wines. The fascinating thing I love about wine is that a single type of wine can vary so greatly based on where it’s planted, how and when it’s harvested, how it’s blended and fermented and aged… The possibilities are endless! 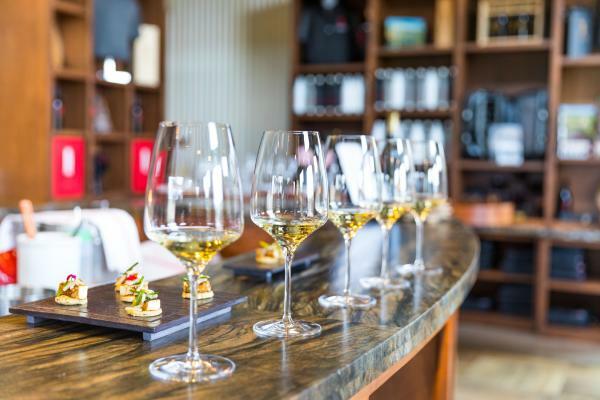 I have been on countless wine tastings around the world and the one thing I can take away from it all is to leave your expectations at home and keep an open mind. We must have tried 20+ Cabernet Sauvignons in 3 days, only a few of which I really loved. 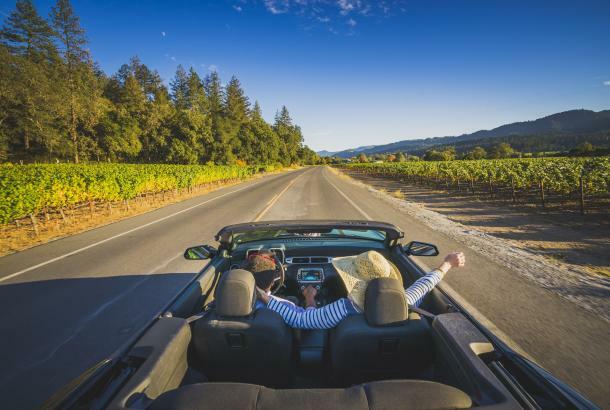 But that’s the point, to find what suits your taste, and the proximity of wineries and array of options means there’s really something for anyone in Napa Valley so it’s easy to keep trying more. Don’t mind if I do… By the end of the trip we were laden with bottles of wine to bring back home, much to the chagrin of the airline weight limits! 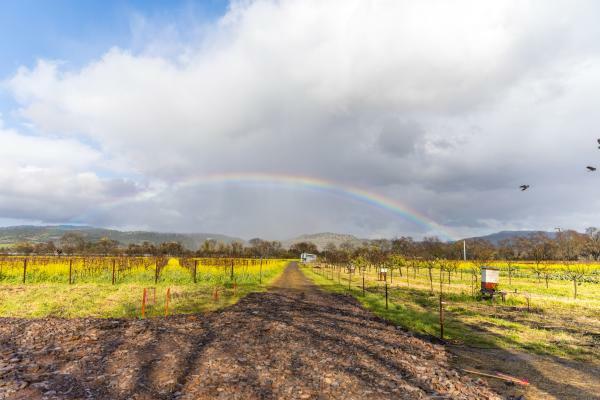 And you thought 72 hours in Napa Valley seemed like no time at all! Just recapping the trip has me somewhere between exhausted and exuberant all over again. I can’t wait until my next visit as I know there’s always so much more to see and do!